RICHLAND, Wash. — The U.S. Department of Energy's Pacific Northwest National Laboratory and Oregon State University are launching the PNNL-OSU Distinguished Graduate Research Program — an internationally competitive program for graduate students to prepare for impactful research careers in science, technology, engineering and mathematics. Highly qualified applicants seeking doctoral degrees in STEM fields will compete for spots in the premier program that is a subset of OSU's graduate program. Successful applicants will conduct dissertation research for their doctoral degrees at the university and at PNNL under the guidance of researchers at both institutions. Students will study for their doctorate in the first two years at OSU serving as graduate research assistants, teaching assistants, or working on a fellowship, and will spend years three and four working alongside PNNL scientists with world-class research capabilities. "We need STEM qualified students to meet the science and technology challenges facing our nation and world today," said Malin Young, PNNL's deputy laboratory director for science and technology. "It's our privilege to help train the next generation of top flight scientists and engineers. The energy and ideas these students will bring to the Laboratory will broadly benefit our research missions at PNNL." "This agreement allows OSU graduate students to work alongside scientists from PNNL," said Stephanie Bernell, interim vice provost and dean, OSU Graduate School. "High-level experiential learning opportunities such as this will greatly enrich the training of the next generation of scholars." OSU expects to enroll up to five graduate candidates in the first year and up to 10 in the second year of the program, with a planned start date of Fall 2019. 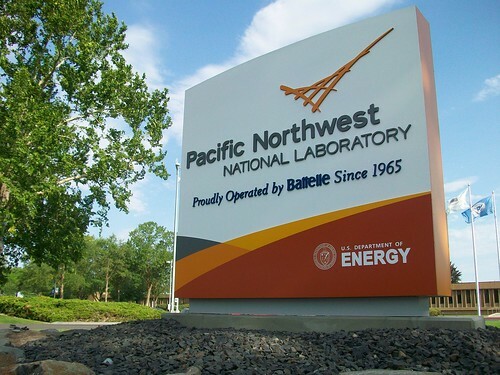 OSU and PNNL will solicit applications and jointly select candidates in the winter and spring of 2019. Chosen candidates will have their tuition waived by OSU and will receive financial support through placements and stipends and insurance benefits. PNNL scientists who supervise and advise the candidates will be appointed as courtesy faculty at OSU. The program adds to the long-standing partnership between the two institutions, which includes joint research programs and joint faculty appointments. Currently seven PNNL scientists have joint appointments at OSU, and three OSU professors hold joint appointments at PNNL. As one of only two universities in the nation designated as a land, sea, space and sun grant, Oregon State University serves Oregon and the world by working on today's most pressing issues. Our more than 31,000 students come from across the globe, and our programs operate in every Oregon county. Oregon State receives more research funding than all of the state's comprehensive public universities combined. At our campuses in Corvallis, Bend and Newport, and through our award-winning Ecampus, we excel at shaping today's students into tomorrow's leaders.